Why Should Businesses Keep Their Windows Clean? 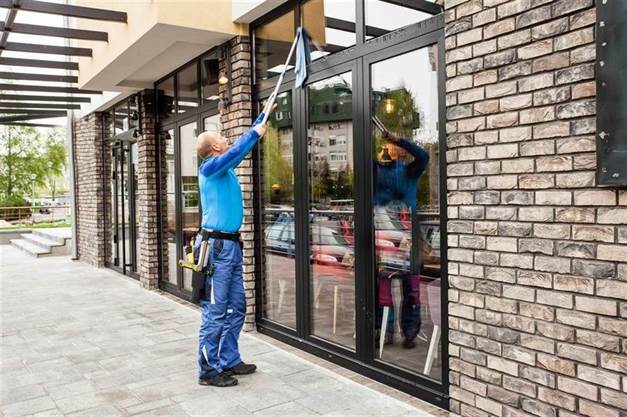 With your hectic work schedule never letting up on you, having your commercial windows cleaned is likely at the bottom of your list of priorities. While dealing with your dirty windows seems like an easy option, it’s vital that you know the negative impact that debris and dirt may have on the general lifespan of commercial windows. Clean Windows: Why are they important? Having commercial windows cleaned on an annual basis plays a big part in your window’s lifespan. Over a period of time, debris in the environment gathers on the windows, which may lead to a loss of transparency and make the glass more fragile. Clean ones prevent frame weathering which might reduce the lifespan of the window. In addition, clean windows permit more natural lighting into a workspace, and decreases the number of overhead lighting and lamps required, which will potentially lower your utility bills. Also remember that the credibility of your company is crucial, and clean windows may make a difference regarding how consumers perceive your business. Restaurant windows ought to be cleaned every 2 weeks because of the buildup of grease and moisture circulating in the air, from heavy foot traffic and food. Retail store and healthcare facility windows ought to be cleaned one time per month to keep clean facilities for customers. While windows inside office buildings just have to be cleaned two times per year, business owners might choose more frequent window cleanings in order to sustain professional and clean appearing windows. Companies which are situated close to busy highways or streets usually become dirty faster than roads that have light traffic and might have to be cleaned more frequently. During the spring seasons, we oftentimes see a lot of rain, as well as heavy pollen from blooming flowers. The particles in the air and rain leave mineral deposits that may deplete the windows after a prolonged time period. To sustain the appearance and quality of your windows, make certain that you frequently clean them. The landscaping that surrounds your company also plays a critical role in determining how often to have the windows cleaned. If the building is surrounded by mulched trees or flowerbeds, or is against a parking lot, you might have to get the windows cleaned more often because of the debris from surrounding landscape. For more information on our commercial facilities cleaning services contact Anago today!